JCB International Co., Ltd., the international operations subsidiary of JCB Co., Ltd., and Bank of Georgia, a bank in Georgia, are proud to announce that Bank of Georgia has started to accept JCB Cards across the country. 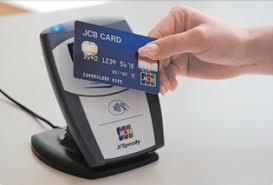 Bank of Georgia, one of the largest bank of the country by assets, has begun to service JCB Cards in its merchant network, which is one of the largest in Georgia with 279 branches, 13,000 Point of Sales (POS) terminals, which covers one third of the country’s total number of POS terminals, and one of the country’s largest ATM network comprising 856 ATMs. Bank of Georgia supports society in building a successful future through expertise and dedication. Takashi Suetsugu, the General Director of JCB International (Eurasia) LLC commented: “We are delighted to announce that Bank of Georgia, one of the biggest bank, with a reliable and stable reputation, has started to accept JCB Cards in Georgia. When extending its business activity globally, JCB chooses the leaders in acquiring, and Bank of Georgia with its focus on constant innovation, aligns perfectly with our values for providing customers with reliable and modern customer experiences. “Georgia is one of the most favored countries for Asian tourists in the Caucasian region, and we believe that JCB Card acceptance in Georgia will attract more tourists from Japan, China, South Korea, Thailand and other Asian countries, where, many JCB Card are issued. Georgia is also a popular destination for Russian tourists, and as the number of Russian JCB cardholders grows continuously, day by day, we hope that in cooperation with Bank of Georgia we will create a more comfortable and hospitable environment for Russian JCB cardholders too”. CEO Bank of Georgia, Kaha Kiknavelidze commented: “We are pleased to announce that Bank of Georgia, in cooperation with one of the major international card brand, JCB, is the first JCB card acquiring bank in Georgia. We are happy that our merchant customers will be able to serve JCB International payment card members across the country which will give them the opportunity to make payments comfortably, and we are happy that we became a JCB partner, with 117 million JCB cards in over 190 countries and territories, accepted at 30 million associated merchants”.